Winged liner has been a thing for decades now, but it’s absolutely had a resurgence in popularity in 2015. Every celebrity, every young woman you see on the street practically (at least here in Chicago) is rocking thick eyeliner as part of their everyday look. I absolutely love a bold, fierce winged liner and have been trying my best to perfect the look myself! 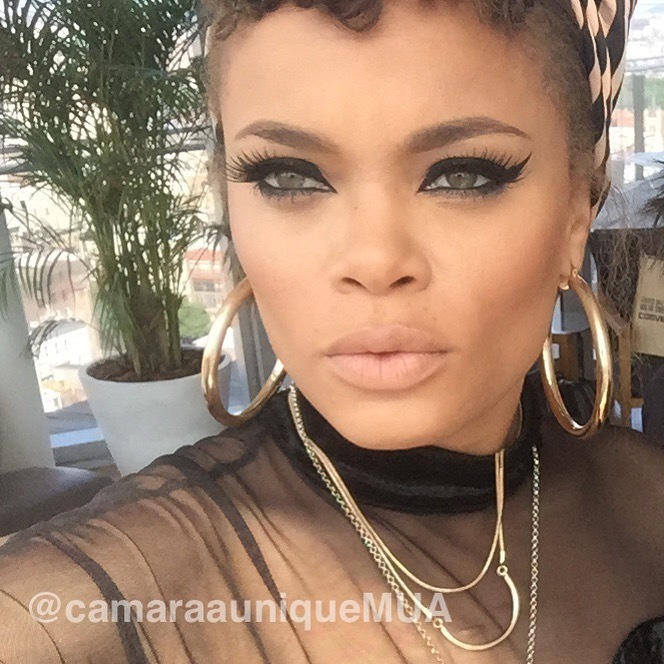 I’ve been admiring the work of celebrity makeup artist Camara Aunique. Her family is from Trinidad but she was born and raised in Brooklyn. Camara is based in New York. She’s been honing her craft on set and one of her specialties is EYELINER. She has done work for June Ambrose, Garcelle Beauvais, Dej Loaf, and MORE. Follow her on Instagram to see who’s got next in her chair! 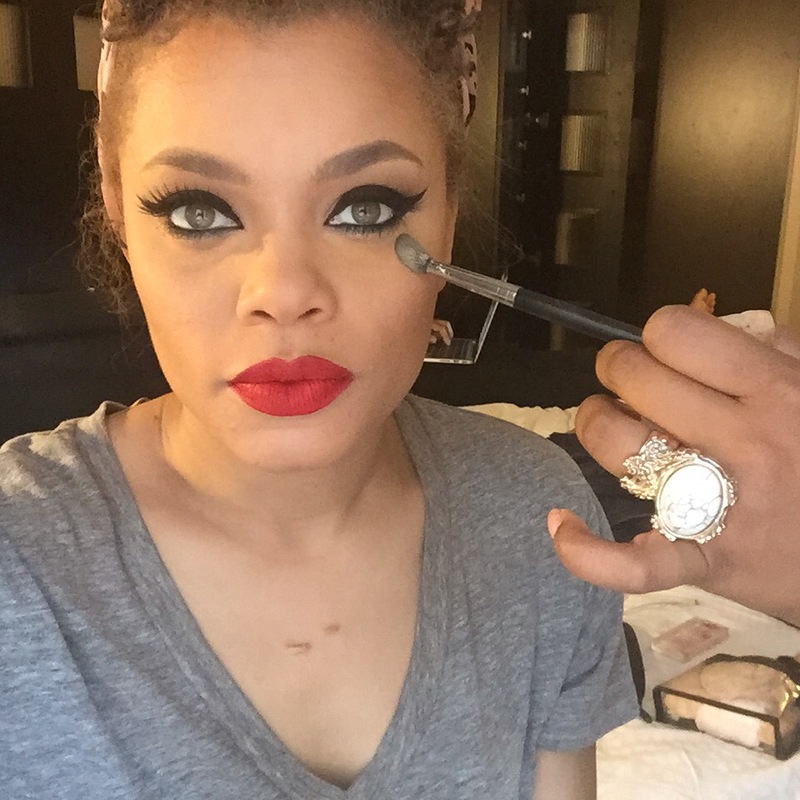 I LOVED the winged looks she did on beautiful chanteuse Andra Day. Just SICK with the eyeliner skills! Check her out at CamaraAunique.com! I reached out to this super sweet fellow Trini and professional, talented makeup artist to get the top tips on mastering winged eyeliner and MORE. Product picks, sage advice and pro tips to try await you! Read on for Camara’s wisdom. Then get yourself the right products and put in that practice. Soon your winged liner will look less like an EKG and more like the sultry swoosh of your dreams. I mean. Can you EVEN? A pop of color makes this cat eye stand out! SO dope. Teach us your ways, Camara! 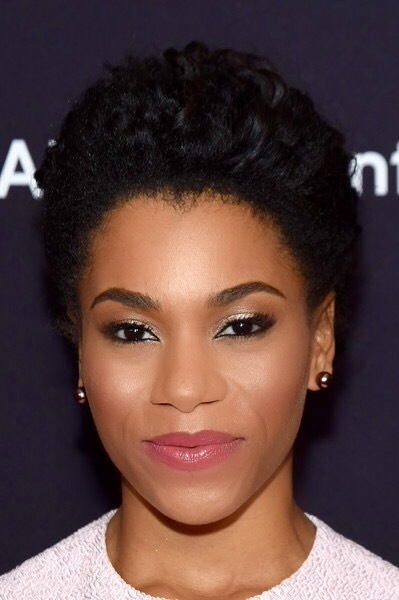 Afrobella – Do you recommend using a pencil, liquid liner, or a gel? Or using multiple products to get the look? Camara Aunique – So there are a few different eyeliner looks. My favorite to do on my clients is the “tight line,” which is applying liner to both the lash and water line. I recommend using a pencil to create this look, my favorite is a kohl pencil. I like “Feline” from MAC Cosmetics. Now to apply a sick “cat eye” liner, I recommend a gel liner with a thin pencil brush. MAC 210 brush is actually my favorite to use, because it allows me to take my time and build — eyeliner is like a relationship it only works if you take your time and build. My favorite gel liner is Inglot in color 77. Afrobella – What do you use to clean up any mistakes? Camara Aunique – My current favorite clean up product is DHC Cosmetics Olive Virgin Oil Swabs, the swabs come prepackaged coated with virgin olive oil to clean up any mistakes you may have when creating your perfect eyeliner. Afrobella – If ladies at home have an unsteady hand, what’s your advice? I see folks using a dotted line, or using a spoon to trace a curved line on their eyelids…do any of those “eyeliner hacks” work, in your professional opinion? Camara Aunique – In my opinion is to always take your time. You can also use a dull piece of tape to trace the wing you’d like to create. But as I’ve said before creating the perfect eye liner is like a relationship, take your time and continue to build to your desire. 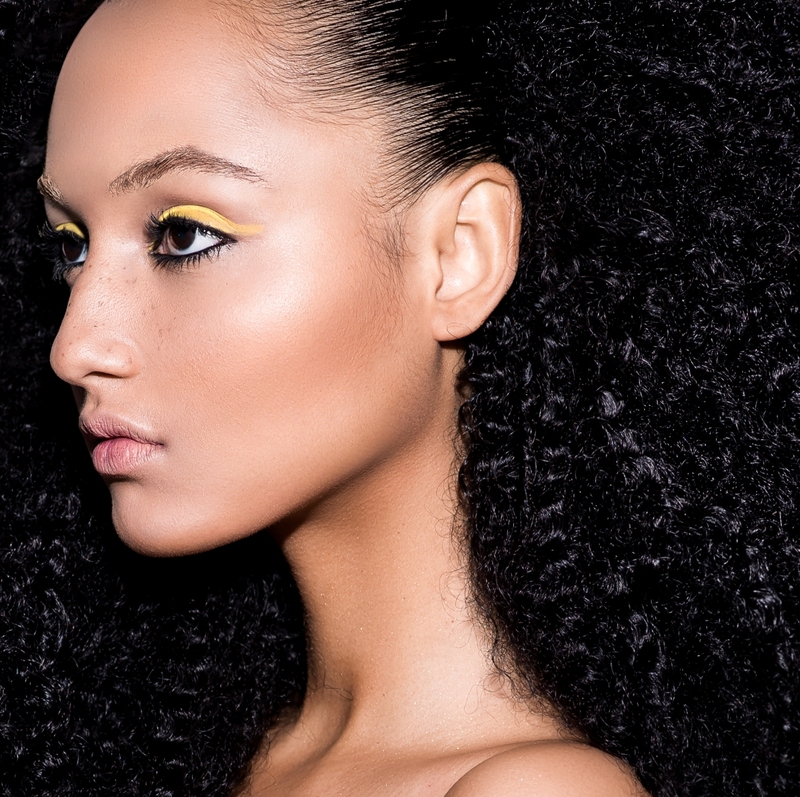 Afrobella – Winged liner is having a moment right now, but it never really goes away. What do you think the next big eye makeup movement will be? Camara Aunique – I feel like the next big eye makeup movement will be the tightline. It accentuates your eyes so beautifully. Other than making your eyes appear smaller (like the cat eye), the tightline actually shows the shape of your eyes and enhances it. I incorporate this eyeliner look daily for my personal makeup. Here are some examples of Camara’s work featuring tightlining. So beautiful! OK. Kohl eyeliner, gel and a pencil brush, master tightlining and my favorite tip – eyeliner is like a relationship. Take your time and build! Thank you for the brilliance, Camara! You can check out her site at CamaraAunique.com or follow her on Twitter and Instagram for more makeup inspiration! This was great. I’ll definitely be incorporating these products and techniques into my repertoire. I’m definitely going to be applying this tips the next time I try! The build is everything. I’m about to check out some stencils though because I can never get my left eye to look as good as my right one. Right-handed problems.